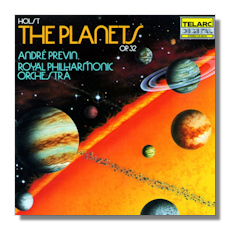 Gustav Theodore Holst (September 21, 1874 - May 25, 1934) is recognized today as the composer of "The Planets," which remains wildly popular, but for little else except perhaps his "St. Paul Suite." However, Holst was the creator of operas, chamber, vocal, and orchestral music of many different styles, based on subjects as varied as folk songs, Tudor music, Sanskrit literature, astrology, and contemporary poetry. His great interest in Eastern mysticism can be heard in his settings of Choral Hymns from the "Rig Veda" and his short opera "Savitri." Gustavus Theodore von Holst (he dropped the "von" in 1918) was born in Cheltenham, England, in 1874. His grandfather, Gustavus von Holst of Riga, Latvia, a composer of elegant music for the harp, moved to England and became a fashionable harp teacher. Holst's father Adolph, a pianist, organist and choirmaster, taught piano lessons and gave recitals; his mother, who died when Gustav was only eight, was a singer. A frail child whose first recollections were musical, Holst was taught to play the piano and violin, and began to compose when he was about twelve. Holst met Ralph Vaughan Williams in 1895 while they were students at the Royal College of Music, and the two remained lifelong friends, depending on one another for support and assistance although there is little similarity in their music. The two young men and their fellow students carried on long discussions of self-criticism, philosophy, and, wrote Vaughan Williams, "every subject under the sun from the lowest note of the double bassoon to … Thomas Hardy's 'Jude the Obscure'." In those days of no royalties or performing fees, Holst found it impossible to earn a living as a composer, so he took a post as a singing teacher. Around 1904 he was appointed Musical Director at St. Paul's Girls' School, Hammersmith, his biggest teaching post and one which he kept until his death. 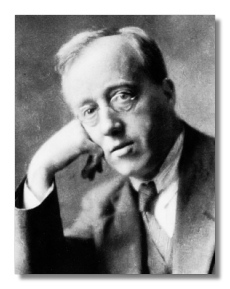 Holst visited the United States twice, once to lecture at the University of Michigan, and again for a six-month period as a lecturer at Harvard.